This brand new method developed by Hadas Lapid et al. sticks an electrode into the nose with an exposed tip that directly contacts the nasal olfactory epithelium. Subjects hold their breath as odorants are blown into the nose to avoid artifacts from breathing. Understanding the olfactory system has proved more challenging than the visual and auditory systems where the stimuli space is more easily defined. 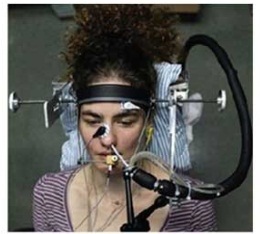 Studying olfaction on human subjects who can be asked what they are smelling, while simultaneously recording quantitative measurements of their receptor responses will lead to an improved understanding of this sense. 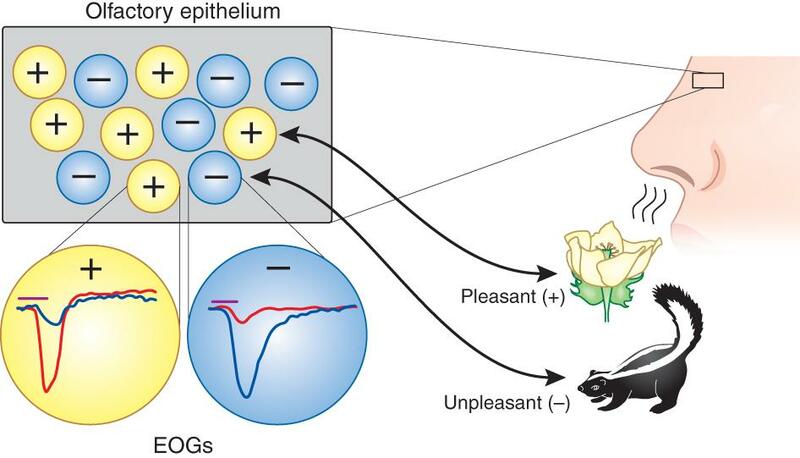 Understanding the olfactory epithelium will help define inputs to the olfactory cortex. Some think the primary olfactory cortex can be used as a model for the association corticies necessary for higher thoughts, because the olfactory cortex can pair novel receptor activation patterns and bind them together as a new distinct odor.